Print to PDF Task Add-in – ehcanadian Consulting Inc. 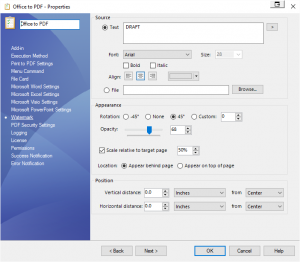 Create PDF Files in SOLIDWORKS PDM Without SolidWorks! Creates PDFs from virtually any application. Print PDFs outside of the vault. Provides the ability to print PDFs outside of the vault. Print secondary PDFs outside the vault. Provides the ability to print secondary PDFs in or outside of the vault. 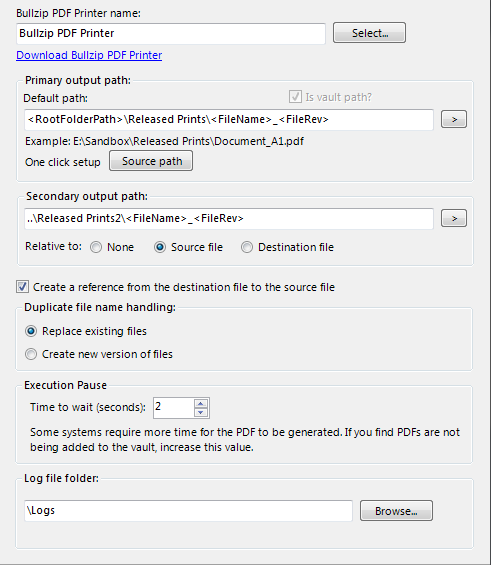 Relative paths from the source or destination file for secondary files. Ability to permit or deny PDF security, including self-expiring documents. Microsoft Word, Excel, Visio and PowerPoint specific. Special handling for Microsoft Word, Excel, Visio, and PowerPoint files. Includes duplicate file name handling. Create a reference from the destination file to the source file. Option to display a menu command or not, with custom text. Update variables in the output file's data card. 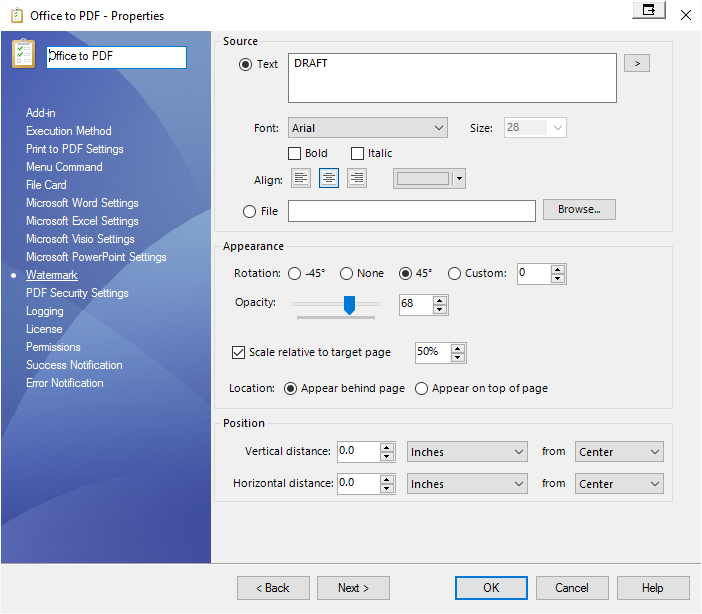 Combine all PDF files from the task to one file. Apply watermarks to the output PDF files. Note: The free version is not being supported and developed as of September 2014. Upgrades are $195 for the next major version of PDM. 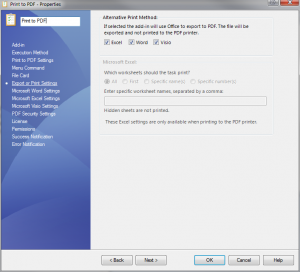 SolidWorks EPDM/PDM Pro 2015 or greater. The default application that prints the file sent to the task must be installed on the computer that will be running the task. Added combine all output PDFs to one file. Added converted files to the PDM notification. 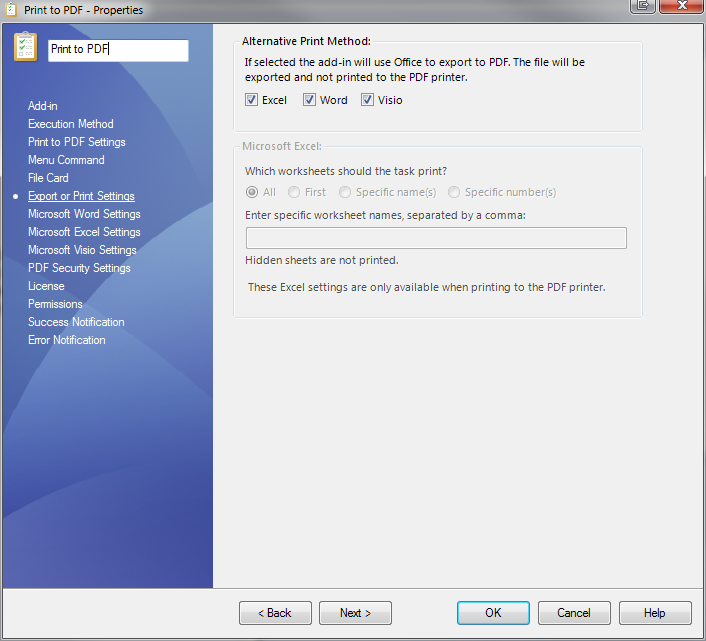 Fixed output file not being added to vault when printing from MS Word. Fixed value out of range bug. Added Copy PDF to PDF option – When working with PDF source files, the add-in has the option to copy the pdf instead of printing it. Fixed secondary output paths and file variable handling bugs. Added – Export from Word, Excel, and Visio using their own API. Added – Secondary output files with support for relative paths. Added – Error and debug logging. 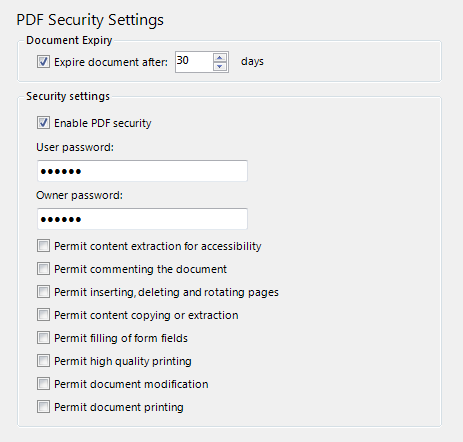 Added – PDF security: self-expiring documents. When a document is expired, it will automatically close. 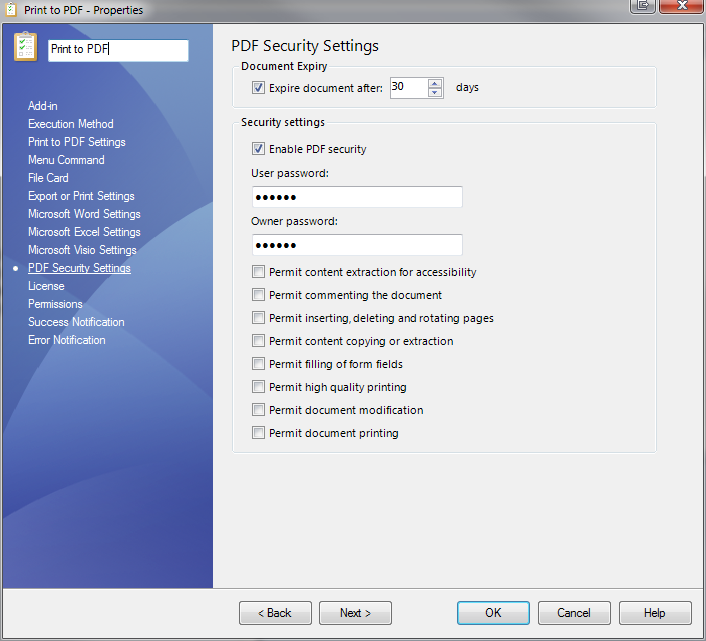 Added – PDF security: Read and owner passwords as well as various permission settings. 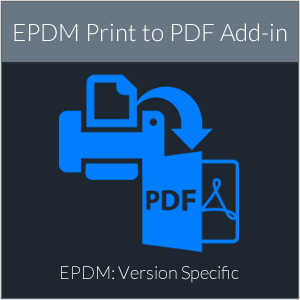 Changed – One dll for all versions of EPDM. 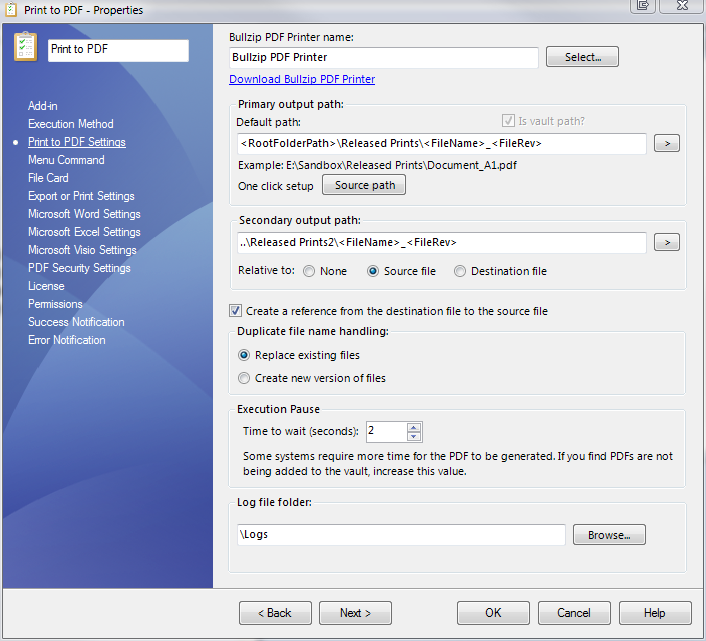 Bullzip PDF Printer name: The name of the Bullzip PDF printer. Bullzip needs to be installed on each machine that will be running the task. 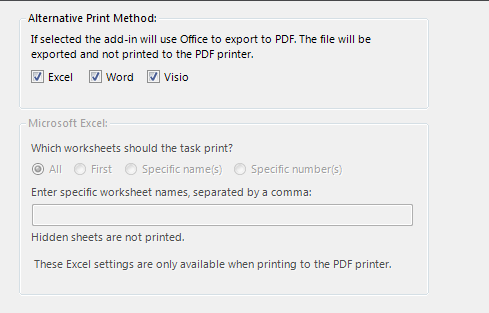 Excel, Word and Visio provide their own API for exporting which is useful when a file contains macros. When a file contains a macro that updates the file, it will trigger a save that the task can’t anticipate or handle.